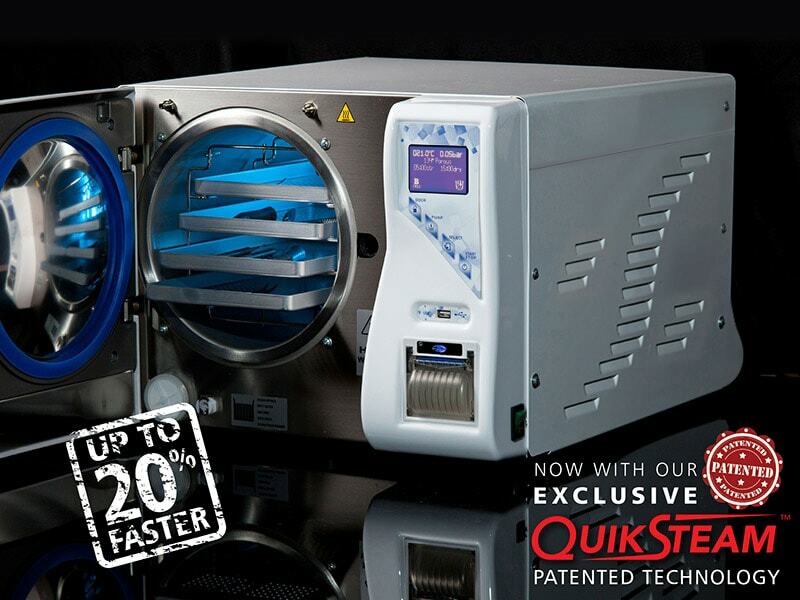 Now including our new innovative QuikSteam™ patented technology as standard, Midmark Newmed Class B steam sterilisers can now run Class B cycles up to 20% faster than before. Featuring a sleek, stylish, italian design, the Midmark Newmed Class B provides the ultimate in infection control. With easily wipe-able surfaces and effortless data capture plus a fail-safe automatic door locking system, the Midmark Newmed range proves to be as good as it looks. Even temperature and steam distribution ensures maximal steam to instrument penetration, and we also provide a range of water solutions to suit your requirements. 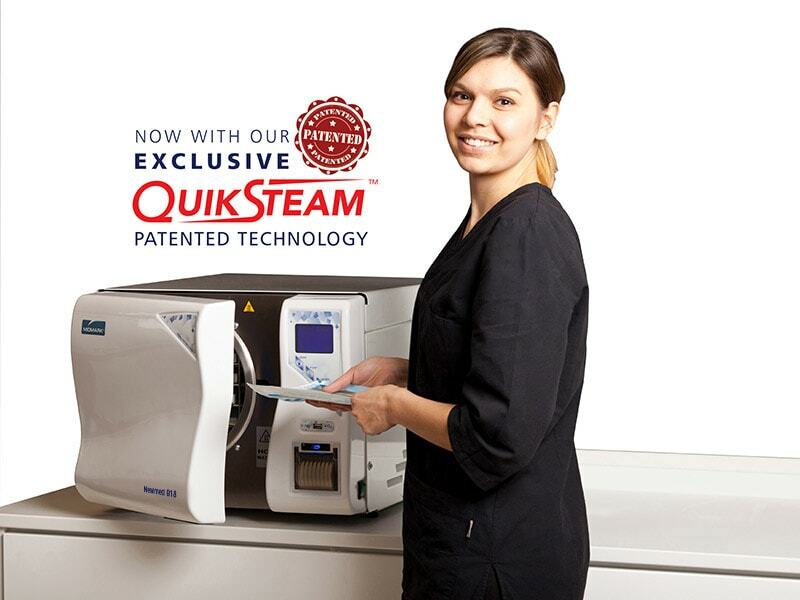 All of our Midmark sterilisers include simple and cost-effective service protocols to ensure a minimal cost of ownership and the shortest interruption in operation for service throughout the lifetime of your steriliser. Whether your aim is to use it all day, every day, or less frequently, the Midmark Newmed range will maximise uptime in your practice whilst proving to be productive and reliable.